President-elect Donald Trump made his first trip to the White House on Thursday. Trump, future first lady Melania Trump, and Vice President-elect Mike Pence each met with their respective counterparts. 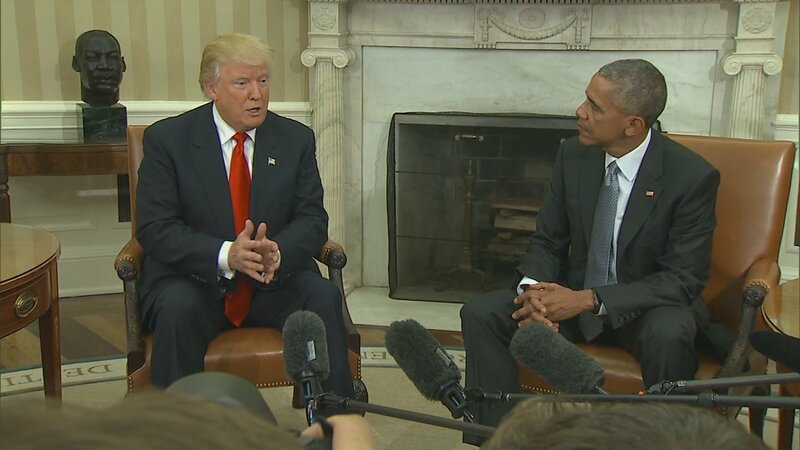 President Barack Obama said his meeting with Trump was “excellent” and pledged to make the transition as smooth as possible. So what's next as the Trump administration takes shape – and what does this historic election mean for the future of America's two major political parties? Joining Chicago Tonight for a conversation are Chris Robling, communications specialist, Republican analyst, and a former commissioner of the Chicago Board of Elections; James Warren, chief media writer for the Poynter Institute and Vanity Fair and national political columnist for U.S. News and World Report; and Delmarie Cobb, Democratic political consultant and former Illinois press secretary for Hillary Clinton. Nov. 9: Will the policies of president-elect Trump mirror some of the controversial and divisive issues he spoke of on the campaign trail?